This week, I had the opportunity to shoot photos for an adorable boutique clothing line called Bella and Gracies. Karen, the fabulous owner/designer had some super soft plush puppies that she wanted to show the world, so I lined up some of the most beautiful children known to mankind and we went to town. While I was shooting, I thought about some of the fabulous gifts that people had given to my girls, and how nice it was to have great shots of the girls with their gifts. 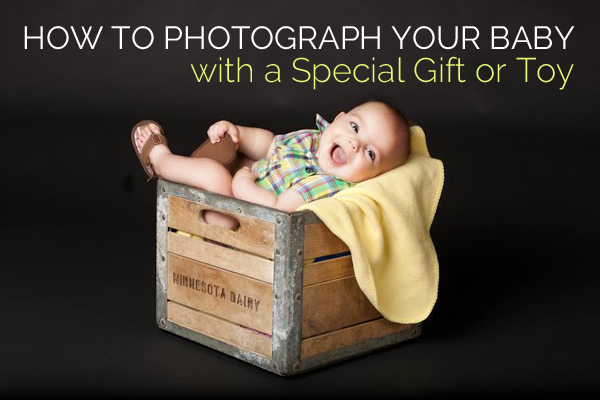 These tips can also be useful for those who want to take a picture of their children with the birthday or holiday toys that have been sent to them by family friends or relatives. One, two three SHOOT!! …FAST!!! 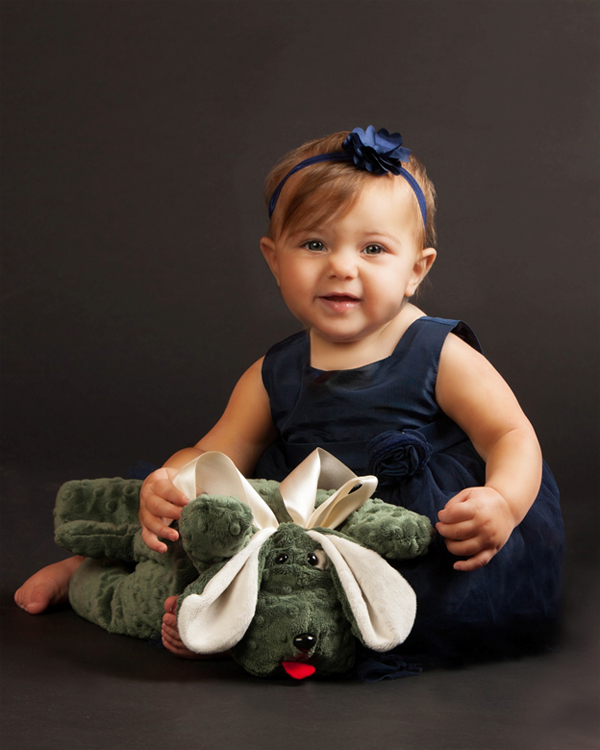 A couple of things that you should know about shooting babies: plan on a five minute shoot. They might last longer, they might not make it to the party at all, but do your most important things first. This is hard for me, because I’m all about talking to people and making friends first, and being silly and playing around, but with babies and toddlers, you have to work fast. Plus, either they like you or they don’t. 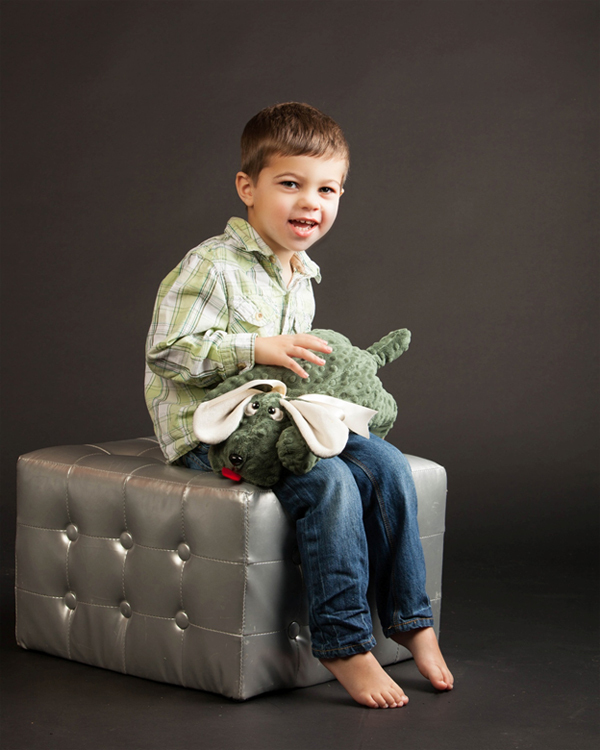 I’m fortunate enough to have my studio in my home, so I like to make sure that there are no weird smells when little people first come in for a shoot, so no garlic, onions, fish or strong smelling vegetables the night before. Also, this sounds kind of counterintuitive, but, greet everyone, and be polite, but don’t try to be besties with the Littles before the shoot. Before I had children, I just wanted babies in my life so badly, I maybe even wanted to show myself how incredible I’d be as a mom, and I think that the kids smelled that desperation steaming off of me, and would start shrieking uncontrollably, which inevitably led to little red faces dripping with drool and snot, not exactly what you want in a photograph for sure. Plus, a lot of kids get dropped off at home daycares or babysitter’s homes, and cry because Mommy is leaving, so just kind of smile at them, say hi, and let them know that Mommy is staying. I’m a hugger, but take it from me, don’t reach for the baby, don’t even touch his foot. Talk to Mommy for a bit about just about anything, and then get to the studio. Make sure that you are shooting after naptime and that the baby is well fed when they get there, too. I usually have music playing, but this week, I must have forgotten to turn it on, so I just shot without it. Some parents insist that their kids do better without them in the room, but for this kind of thing, there is NO WAY that you can do it alone. Tell the parents that they will probably get sweaty and that both of them will want to take a nap afterwards and dive in. Make sure that Mommy is very close to the baby, almost in front of the baby so that it looks like the baby is looking at the camera when she really is looking at Mommy. It’s cold in Ohio, so I try to keep the babies off the ground, unless they are in the sitting and maybe about to crawl stage, in which case, I put them on the floor so that they don’t have very far to fall. Oh my, I can feel your disapproving look… It’s not like they fall, It’s so that Mommy isn’t scared that they will fall. Because if Mommy is scared, then the baby will be scared, too!! 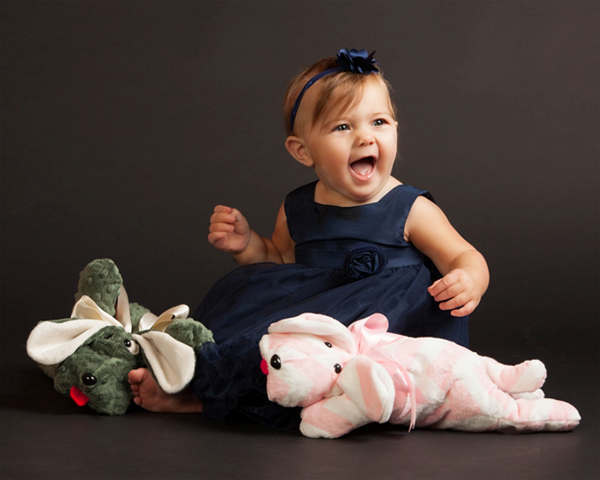 Some babies like to be gently booped on the head with stuffed animals. I usually ask first, then get really close to the baby, and come up with something that would bring the intelligentsia set to their knees, like “aaaaaaahhhhh-BOOP!” and barely touch their face with the softness. It usually takes about three or four times to see what they’re really going to do, so I do it twice, give it to Mommy and grab my camera. Baby smiles are FAST, it’s hard not to get caught up in all of the adorableness of the moment, so shoot fast and let the booping work its magic. You can usually get ten to twenty boops off before the baby gets tired of the game. I should mention that it’s a good idea to Boop with something other than the product that you’re photographing. Position the prop so that it faces you and shotw the parents what you need the camera to see. In this case, the doggies had adorable floppy ears, unique eyes and a bow to show. If you give the prop to the parent without instructions, they will give it to the baby face first, and the camera won’t be able to see the face, plus the baby will put it in his mouth and then you’ll have a whole new set of problems. After the Booping stage is over, the baby is usually in a great mood. You have about two minutes to position your product and shoot it fast, keep cooing to the baby, of if it’s a toddler, tell him how brilliant and amazing he is, have her tell you who their friends are, what they’re going to do for their birthday, anything to keep their mind off the dreaded Limburger …you know, “cheese”! Eventually, they will find out how much fun it is to throw the prop in the air or drop it from their chair, and that is when your shoot with props is over, so shoot FAST, be patient, and have fun. Send me your baby photos to barb@barbstitzer.com, and we’ll get better together!